As you hunt for the right full-size truck to take home soon, you may be actively comparing the 2019 RAM 1500 vs 2019 Chevrolet Silverado. These are undeniably two of the leading contenders in the full-size automotive segment. They both have a long-standing history of overall excellence and bring stellar engineering to the table. A quick glance may lead you to believe that these two vehicles are comparable in many respects, but a closer look will reveal their individual strengths and weaknesses. Our team at Melloy RAM serving Albuquerque Santa Fe New Mexico is available to answer all of your questions about the new RAM trucks and to help you make a solid comparison. The 1500 truck for 2019 introduces the line's fifth generation, and this means that the exterior style has been updated with spectacular results. All seven trim levels available for the 2019 model have unique elements, but you will find that they all are decked out with a sculpted hood, LED headlights, a signature grille with active shuttering and an aluminum tailgate with a moderate spoiler for added personality. This is a truck that commands respect on the road. On the other hand, the 2018 Chevrolet Silverado is the last model year for this line's current generation. The exterior has been refreshed several times since the generation was launched in 2014, but it has not received a major overhaul in the last few years. The exterior of the Silverado for 2019 is characterized by an aerodynamic profile, a steel truck bed, considerable sculpting throughout the hood and side panels, LED headlights and other thoughtful features. Compared to the seven trim levels available for the 1500, the Silverado is available in eight trim levels this year. The profound updates that are present throughout the exterior of the 2019 RAM 1500 carry through to the interior. In addition to having a stellar design, the new RAM truck also is loaded with numerous features that raise bar in this automotive segment. 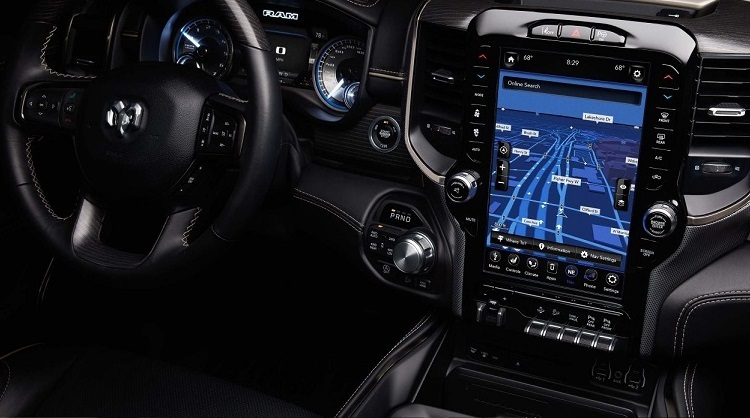 Some of these features include a tablet-sized touchscreen, a panoramic sunroof, power windows, power door locks, ultra-fast USB charging ports, active noise cancellation, a navigation system, Uconnect, SiriusXM radio, reclining rear seats, hidden storage areas, a Harman Kardon sound system and more. The 2018 Chevrolet Silverado also has numerous impressive interior features that vary slightly based on the trim that you select. A few of the standard features available across most trim levels include power adjustable seats, climate control, a sound system, cruise control, mounted audio controls on the steering wheel, a color touchscreen for the infotainment system, power windows and door locks, cup holders, storage compartments and more. If you are ready to see the new 1500 so that can make smart comparison of its features to those of the Silverado, stop by Melloy RAM serving Albuquerque Santa Fe New Mexico soon. The power of your new pickup truck is not a matter to gloss over. You may be surprised how different the power capabilities of the various full-size trucks and their different powertrain options are. As you compare the 2019 RAM 1500 vs 2018 Chevrolet Silverado, it is important to look at the lower and higher ends of the spectrum. 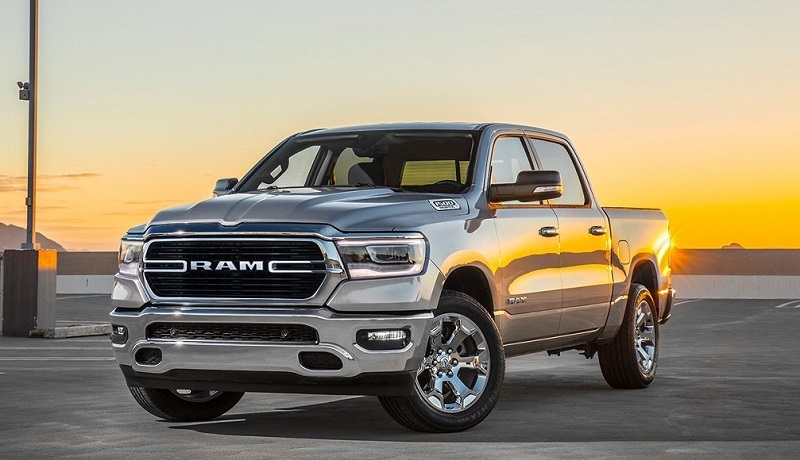 The primary powertrain available for the 2019 RAM 1500 is a 3.6-liter Pentastar, V6 engine with 305 horsepower along with 295 foot-pounds for torque. A superior powertrain option available in advanced trims is the V8, HEMI 5.8-liter engine with 395 horsepower and 410 foot-pounds for torque. These two are paired with an 8-speed automatic transmission. The 2018 Chevrolet Silverado has a 2.7-liter engine with 310 horsepower on the lower trim levels. This is paired with an 8-speed auto transmission. A superior powertrain for the Silverado is the 5.3-liter, V8 engine with 355 horsepower and 383 foot-pounds of torque. It comes with the same automatic transmission. Concerns about safety on the road are common for local truck buyers, and you may be pleased that both truck models have a wonderful combination of safety features. 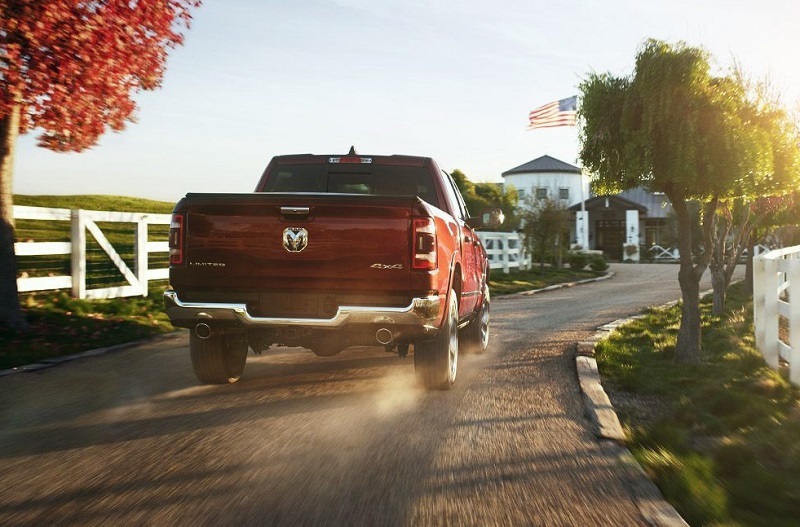 For example, the 2019 RAM comes with trailering detection, a rear cross-path detection feature, a blind spot monitor, a lane departure and mitigation system, smart cruise control, a rearview camera, numerous airbags and more. As you compare the 2019 RAM 1500 vs 2018 Chevrolet Silverado, you will see that the Silverado was designed with trailering in mind. Many of its safety features are related to this activity, and they include hitch guidance with a hitch view, a special trailering app, auto electric brake assistance, side view cameras and more. Several other features in the Silverado include airbags, child safety features, a tire pressure monitor and more. As is the case with interior and exterior features, trim level may impact standard and optional safety equipment for both models. To make as solid comparison, ensure that you compare each model trim for trim before you finalize purchase plans. Our experienced and well-informed sales team at Melloy RAM serving Albuquerque Santa Fe New Mexico is eager to tell you more about what you can expect from the new 1500 truck across all seven trim levels this year. Contact us today for questions about the features, and make plans to drop by the dealership soon to test drive the different powertrain options. Test driving both models is essential so that you can compare their performance capabilities first-hand.